A persistent breach of governance rules, particularly manifested in avoidable exposure to the oil sector, leading to huge Non-Performing Loans (NPLs), and board disharmony, resulting in wrong decisions, brought Diamond Bank to its knees. 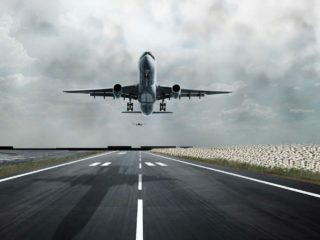 Besides, a recurring insistence to take final decisions on some issues of importance, rooted in “ownership” mentality, irrespective of assessed consequences, aggravated board politics and hastened the company’s collapse. The sudden fall of the retail banking giant, with N1.55 trillion total assets as at September 2018 and lost value in share price now at N1.37, from N7 in about five years ago, alongside its offshore operations, surely attests to failed decisions and consequences of poor corporate governance. For the Chief Executive Officer of Access Bank, Herbert Wigwe, the “merger” with Diamond Bank and its leadership in digital and mobile-led retail banking, “will accelerate our ambition to become a leading corporate and retail bank in Nigeria and a Pan-African financial services champion. The Managing Director/Chief Executive Officer of Diamond Bank, Uzoma Dozie, agreed that giving up the bank’s independence now for a merger was in the best interest of all stakeholders – employees, customers, depositors and shareholders – a tacit admission of frailty. “Diamond Bank would be absorbed into Access Bank and it will cease to exist under Nigerian law. The current listing of Diamond Bank’s shares on the NSE and the listing of Diamond Bank’s global depositary receipts on the London Stock Exchange will be cancelled, upon the merger becoming effective,” the Company Secretary/Legal Adviser, Uzoma Uja, added. The ongoing merger, which would involve Access Bank’s acquisition of the entire issued share capital of Diamond Bank in a combined exchange for cash and shares, has completely put matters to rest that the digital and mobile-led retail banking giant is taken over. But it would first, write off the full year 2018 impairment charges for Non-Performing Loans (NPLs) on more than N700 billion loan book, ahead of the completion of the merger deal with Access Bank. The retail giant is currently trading away its independence together with 19 million customer-base, made up of 10 million mobile users; 7,000 digital and financial inclusion customers; 277- branch network; and 10.2 million credit/debit cards issued so far. The bank’s management, according to its financial statement, acted in defiance of prudential guidelines, traded away an advantage position of cheap cost of funds averaging 4.3 per cent and sustained ill-advised lending, which left the financial institution nurturing an NPL of 12.6 per cent, against five per cent industry benchmark, with attendant high impairment charges. Specifically, the huge NPL predisposed the bank to a yearly impairment charges of more than N25 billion, which particularly left its 2018 nine-month profit after tax at less than N3billion, as loans and advances to banks and customers peaked at N749.3 billion. Worrisome too is that the bank’s shareholders’ fund at N221.6 billion is subjected to a total liability of N1.33 trillion, translating to N1 equity contribution for every N6 obligation, together with about four years without dividend. Apart from the assessed poor risk culture, inefficient capital management was also identified as having eaten deep into gains made from retail banking, with returns on assets at 0.2 per cent, while cost-to-income ratio is high at 70.2 per cent. Operating costs of the bank rose by 6.2 per cent due to foreign exchange rate impact following the devaluation of the naira during the year in 2017. Ultimately, impairment charges sustained on non-performing loans, year-on-year, settled at N56.8 billion, following continued efforts to improve the quality of the loan book, particularly in the oil and gas mid-stream sector. Although sources said that inherited legacy debts from Mr. Pascal Dozie’s tenure and that of Mr. Emeka Onwuka remain in the books, there were hundreds of others added by the bank’s current leadership, but worsened by strong defiance of venture into other areas of banking. While the bank planned to be the leading retail bank in Nigeria and has been attracting attract stable deposits, the income from retail could not accommodate fully provisioning requirements in corporate and business banking. “Having sacked most capable hands that managed corporate and business banking accounts, the bank had no choice but to face new provisioning on the loans,” a former senior management official said. Diamond Bank displayed a lack of strong culture of risk, capital management expertise and a clear strategy for sustainable growth. But this situation was made worse by sustaining more than four-year-old board politics, hallmarked by arm-twisting and outwitting among members. The board politics, the senior management personnel said, escalated into mutual suspicion and divided loyalties, based on individual interest among the workers. “There was fear and low morale. The CEO was known to say that the ‘evil people’ in the bank must be revealed and terminated. So, if you are not in his good book or someone close to him perceives you as on the other side, your risk increases. At a point, there was indiscriminate sacking that affected competent hands. “He promoted those with little or no experience to leadership positions and killed courage for objective debate in the bank. In fact, he fired everyone in a strategic department in the bank for organising a send-off for the head of the department he had earlier sacked. “It’s difficult to find any former worker that has a positive thing to say about the bank just because of his leadership style. But see where the bank is now. You cannot run an institution like this and expect better outcome”, she said. As at 2005, when Pascal Dozie handed over to Mr. Emeka Onwuka after 14 years of hard work, despite the debts, the bank recorded a profit of N5.445 billion, which may be about N25 billion equivalent now, given the exchange rate and level of inflation adjustments in comparison with the present. 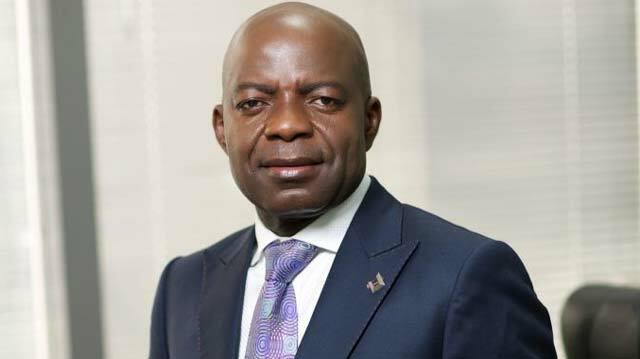 Reports showed that Alex Otti’s first full year in 2012 came with a profit after tax of N22.1billion, followed by N32.5 billion in 2013; and left in 2014 with N28.4 billion profit. It was then that Diamond Bank hit a N1.18 trillion mark in total assets, from N564.9 billion as at February 2011. Also, it was during Otti’s tenure that the bank expanded its network to about 265 branches, from 210 branches in 2011. Diamond Bank’s international subsidiary in the United Kingdom was also established, leading to the classification of the lender as a systematically important bank in Nigeria. By March 2019, the current Chief Executive Officer of the bank, Uzoma Dozie, would be five years in office, but it appears that he got more than he bargained for. In his first year in office, the growth momentum left by his predecessor, though under allegations of number maneuverings, lost steam, as profit after tax plummeted to N5.7 billion. It deepened to N3.5 billion in 2016 and a loss of N9.01 billion in 2017. Unfortunately, for 2018, the focus is no longer on profit or loss, but the end of the brand. Before now, the financial institution’s offshore operations, spanning West Africa- Benin, Togo, Cote d’Ivoire and Senegal were sold to Manzi Finances S.A., a Cote d’Ivoire-based financial services holding company. The last was the United Kingdom’s operations. The managing Director of Cowry Asset Management Limited, Johnson Chukwu had contended the merger tag, saying it was only used to douse tension and calm any possible frayed nerves. “It is not easily believable to say that the deal is merger, when Access Bank is offering N3.13 per share of Diamond Bank, which now trades at (N1.37 as at Thursday). If one party is paying the other in cash consideration, by buying the other’s shares, it cannot be merger, but clear acquisition. 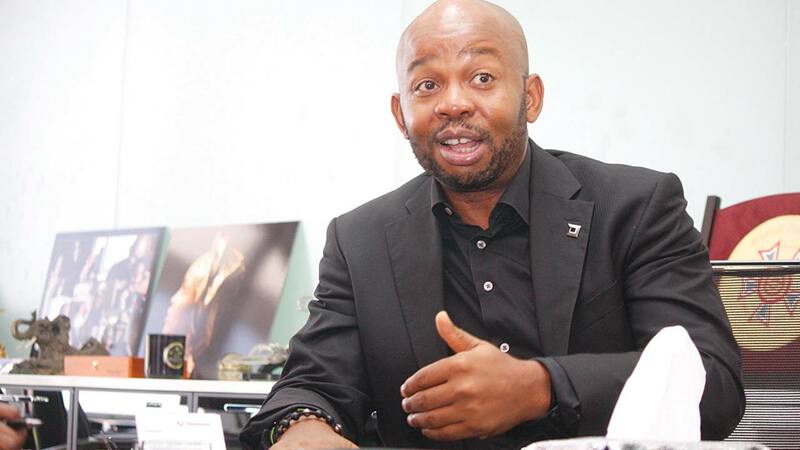 “Ultimately, it is better that an operator is saved from possible distress, because the investors of Diamond Bank are better as it is, than those of the Skye Bank, who may have lost almost everything,” he said. In a monitored programmme, Chukwu noted that the bank’s load of non-performing loans was weighing down the lender’s operations and performance, and as such, a huge threat that brought it down. “Diamond Bank was under stress due to the high profile of NPLs. The resolution, for me, was the easiest and smoothest way to save the industry of the bad reputation and resolve the emerging banking crisis,” he said. The Managing Director of Afrinvest Securities Limited, Ayodeji Ebo, said that poor corporate governance was part of the Diamond Bank’s challenge, as evidenced in weak risk management strategy, leading to its failure. “Admittedly, the industry is one bank less, because the licence will be withdrawn upon completion of the process,” he said. On the challenges facing family-owned enterprises in Nigeria, he said that the businesses are bedeviled with limited ability, in terms of capacity, expertise orchestrated by ownership mentality structure and huge corporate governance lapses. “Control is risked too, as obvious errors are most times ignored. In advanced countries, most of them survive because of their culture, which puts business away from sentiment and for them, business is business and people in charge ask questions without fear and get answers. “For us here, when your daddy is the chairman and your uncle is second in command, to ask question sometimes becomes a thing to watch carefully. It is leading some enterprises to nowhere,” he said. 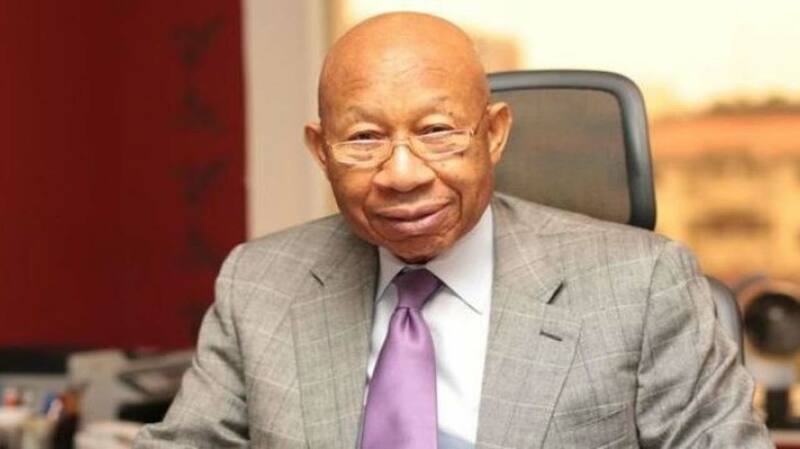 According to the former Chairman of the bank, Seyi Bickerstheth, the soon-to-be defunct bank, is a story of deference to the genius of the founder, who created an institution of such sophistication and appeal, however, with a tragic end. Affirming the board’s disharmony, he alleged in a document addressed to the financial market regulators, obtained by The Guardian, that at a point, there was no unfettered access or insight into crucial board meeting minutes for board members, regulators and superintending authorities. He said the management boycotted third quarter analysts call, even as S&P downgraded the bank’s credit rating, with the lender only managing to meet the Capital Adequacy Ratio, due to the regulator’s forbearance and the current financial position of the bank that never improved. Diamond Bank’s board has five “independent” directors, but the CEO was alleged to have attempted to remove four to undermine the independence of the non-executive directors. “The insertions and ‘acceptance’ of their purported resignation, contrary to the decision of the full board in a meeting, to rescind the decision, was in bad faith and is ultra vires and of no consequence and effect. “This attitude of the CEO, in fact, aligned with the CBN examiners’ observation regarding corporate governance in the bank, where the management takes actions either without notifying the board or without securing board approval, as has been seen even in matters concerning the investment vehicle of the CEO’s family. “The central bank examiners, in August 2018, had highlighted potential gaps in corporate governance based on transactions, which from their assessment, executive management had not disclosed to the board as it ought to have. “Specifically, the examiners highlighted the new corporate head office, which was under construction and observed that the progress, in terms of cost and status of progress, was not captured in any board minutes and indeed, was not discussed, nor was any budget approval for cost increase discussed or presented to the board,” he said. He said that the worst of it all, was the merger, which was first denied by the CEO after a media report and never was discussed again, lacked the minimum requirement of an expression of interest from Access Bank. But in a mail response through the Diamond Bank’s Head of Media, Chioma Afe, the Chief Executive Officer of the bank, Uzoma Dozie, described board minutes as privileged information that could not be discussed publicly. “We are not at liberty to discuss privileged information with respect to board meetings. However, in line with good corporate governance, all necessary board and CBN approvals were obtained for the new Head Office building. “We had board approval and CBN approval. 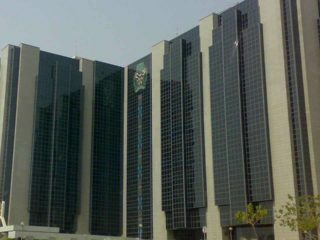 In fact, it is unlikely that one would get CBN approval without a document endorsed by the board,” he said. Access Bank has a common strategy in the acquisition of banks, particularly one with which it has debt relationship. The case of Intercontinental Bank, which Access Bank was allegedly owing but later acquired, irrespective of the outstanding debt, was a sterling example. Unfortunately, it was alleged that the founder of Diamond Bank, directly played into the hands of Access Bank, as this time, Access Bank is being owed. Specifically, it was alleged that a loan collected by Mr. Pascal Dozie in his personal capacity, first from Guaranty Trust Bank, was later refinanced by Access Bank. The loan was used to buy out the stake of a foreign investment in Diamond Bank- Actis, whose promoters were against the emergence of his son as the CEO. The loan was backed by Dozie’s shares at Diamond Bank and MTN, but caught up with the depreciated value of the shares and exchange rate deterioration, creating a gap between the loan and collateral, prompting the need for a margin call by Access Bank. Unfortunately, Pascal, according to sources, had allegedly executed a deed of sale of his Diamond Bank shares in favour of Access Bank, as part of the security for the loan, giving Access Bank the convenience of a takeover. This forced Diamond Bank to approach Access Bank with a merger and acquisition proposal. In November, there was a mop-up of shares of Diamond Bank, which market sources linked to Access Bank as part of its strategy to take over the lender. The Guardian sought to confirm the above banking relationship through calls to both Access Bank and Guaranty Trust Bank, but was flatly denied comment, citing rules on confidentiality in banking. In March 2012, Access Bank completed the acquisition of Intercontinental Bank after all the relevant regulatory, judicial and shareholder approvals had been granted, a process that was dubbed “aggressive” strategy by many. However, allegations continue to trail the acquisition of Intercontinental Bank, as issues like the under-hand tactics deployed in the process, especially in relation to a non-performing loan of N16.247 billion in the balance sheet of Intercontinental Bank Plc as at May 31, 2009, standing against the then Group Managing Director and the Deputy Managing Director of Access Bank Plc respectively, remain unanswered. 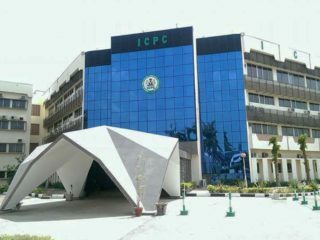 Indeed, the Financial Reporting Council of Nigeria (FRC) had in March 2014, invited the former boss of defunct Intercontinental Bank, Erastus Akingbola, former CBN Governor, Lamido Sanusi; Aig-Imoukhuede; and Herbert Wigwe for an interview to address the issues relating to the investigation into the financial accounts. Later in March 2014, a group of shareholders of Intercontinental Bank Plc approached a Federal High Court in Abuja to seek N10 billion as damages from the former CBN governor over alleged fraudulent banking practices in the sale of Intercontinental Bank to Access Bank Plc. The plaintiffs, Abdullahi Sani, Adaeze Onwuegbusi and Chijioke Ezeikpe, in the suit filed by their counsel, Chris Uche (SAN), expressly accused Sanusi of conniving with Aig-Imokhuede, Wigwe and Senator Bukola Saraki, to sell the bank in a criminal bid to enrich themselves. The shareholders equally pleaded with the court to order the CBN to quickly recover the sums of N16.2 billion and N8.9 billion, in addition to accrued interests, owed Intercontinental Bank by Aig-Imokhuede, Wigwe and Saraki. They also requested the court to declare that the acquisition of Intercontinental Bank by Access Bank through the backing of Sanusi “without any lawful justification whatsoever in a bid to confer corrupt advantage upon himself and his friends/associates/cronies” was illegal, null and void. Finally, they prayed the court to order the Securities & Exchange Commission (SEC) to conduct a comprehensive public enquiry into the mysterious acquisition of Intercontinental Bank by Access Bank through the CBN.